Contrary to popular belief, email marketing is anything but dead. In fact, email marketing has an ROI of 3800% and the average order value from an email is at least 3 times higher than one from social media. With the advancement of email marketing tactics and tools, businesses can now put their email lists to much better use than simply sending out a weekly newsletter. According to HubSpot’s State of Inbound Report 2017, 63% of businesses listed lead and traffic generation as their biggest marketing challenge, while 40% stated that proving the ROI of their marketing activities was another major obstacle. 28% of business also felt that finding enough budget to market their brands was another common challenge. Behavioral email marketing, also known as email marketing automation or triggered email marketing, is all about the customer. Unlike traditional email marketing campaigns where the marketer decides which campaigns to send out, a behavioral email strategy means your customer receives specific campaigns based on their unique actions. Based on a report by DMA, a mere 26% of small businesses actually use email marketing for sales, which means over 70% of businesses have an incredibly effective, yet untapped marketing and sales tool right at their fingertips. So why are automated email campaigns the answer to boosting your bottom line and solving some of the most common marketing challenges? Below are the steps that you would follow to start setting up a triggered email campaign. Look at the stats. Get an understanding of who your target audience is and how they’re interacting with your business online. Tools such as Google Analytics can be used for this. Outline relevant actions. Which actions warrant an email? Have they showed interest in a product but left the page? Did they start completing a contact form but didn’t complete the action? Make a list of relevant actions so that you know what campaigns to set up. Pick the right software. In order to develop your automated campaigns you will need the right software or the services of a company that specializes in this type of email marketing. 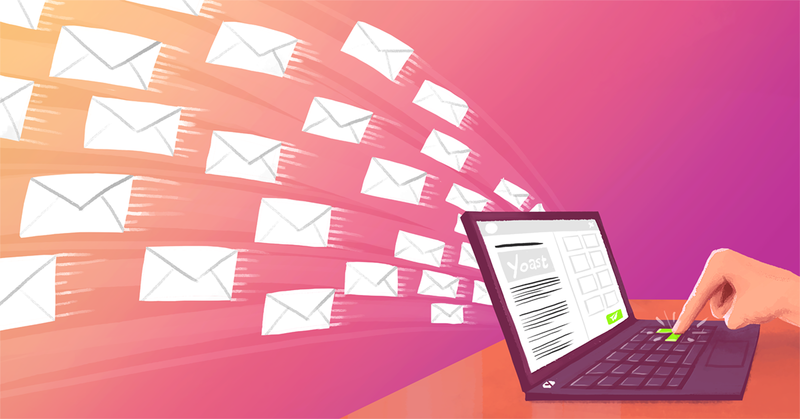 Klaviyo, Campaign Monitor, and MailChimp are all popular email software options. Monitor & Optimize. Once your campaigns are up and running it’s important to monitor and optimize on a constant basis in order to achieve the best possible ROI. If you’re ready to reduce business costs, increase sales and engage with your customers more effectively and consistently, it’s time to consider behavioral email marketing.